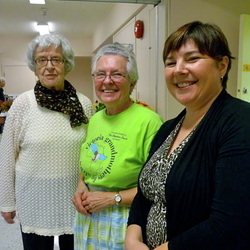 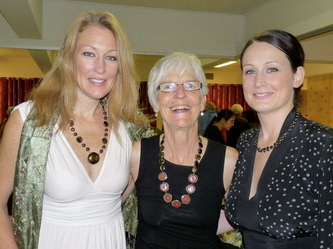 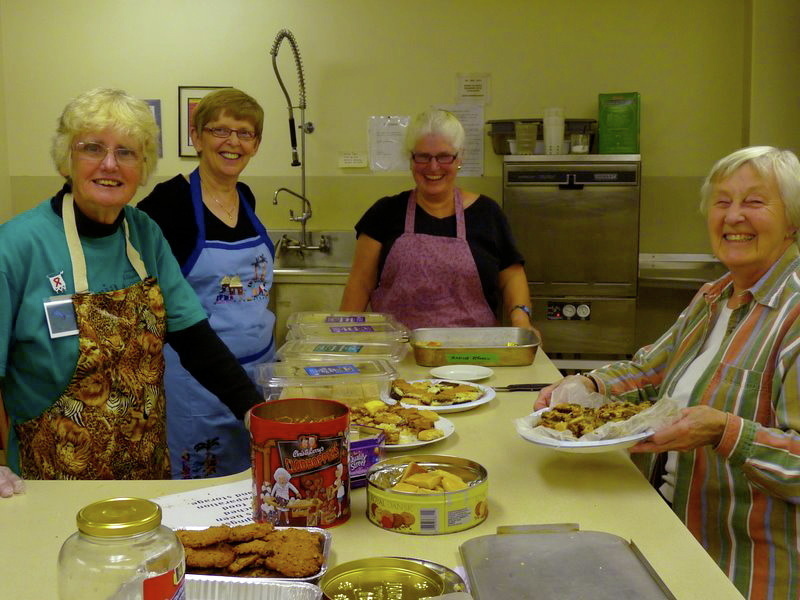 The Victoria Grandmothers for Africa held their first ever Kazuri Jewellery Sale @ St. Aidan’s Church on Oct. 23, 2010. Close to 106 people attended and the jewellery tables were a hive of activity. 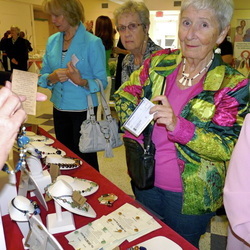 It was hugely successful and the entire inventory of jewellery sold out. 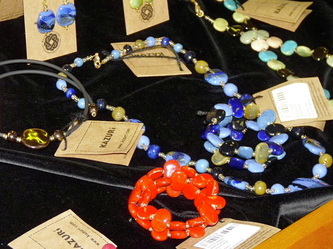 People asked if we would be doing another sale before Christmas, and unfortunately, we can’t manage it. 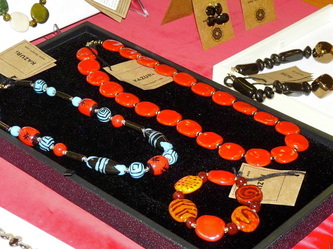 However, we hope to hold another sale in the New Year, so keep an eye on our Upcoming Events. 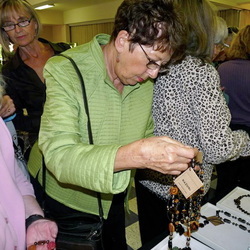 Through a combination of ticket, jewellery, card and surplus food sales, close to $3,300 was made for the Stephen Lewis Foundation’s Turn the Tide Campaign. 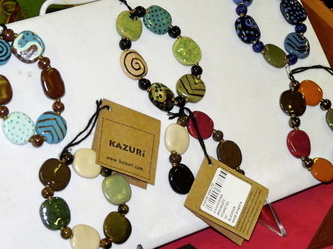 Kazuri Jewellery, a fair trade company that meets exacting inspection standards, is produced under excellent working conditions in Karen, a suburb of Nairobi, Kenya. The company employs mostly single mothers and grandmothers who are often the sole breadwinners of extended families. 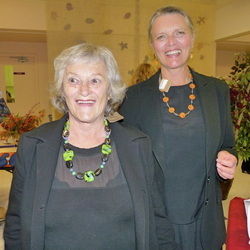 Two Canadian women, Margaret Thompson and Peggy Edwards, formed a company to import Kazuri Jewellery to Canada solely as a fundraising project for the Stephen Lewis Foundation. This company, Kazuri Jewellery: The Grandmother Connection, supplies Grandmothers’ groups involved in the Stephen Lewis Grandmothers’ Campaign with dazzling and colourful jewellery along with great suggestions for hosting a fundraising event. 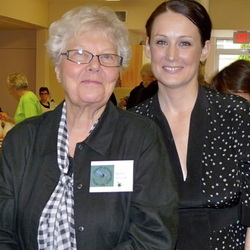 Grandmothers’ groups across the country have raised over $100,000 for the Stephen Lewis Foundation by hosting Kazuri events. 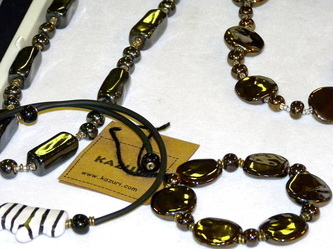 Kazuri jewellery gives twice—first to the actual company and employees in Kenya, and second, to the many projects supported by the Stephen Lewis Foundation.